Another interesting episode this week of the Gary Wise podcast, Wise Hand Poker (the 11/19/08 episode). Wise interviews Barry Greenstein for the first half of the show, and the two discuss the recent World Series of Poker Main Event final table, the new “red pro” forum on PokerRoad, and other matters. Wise then has Harrah’s Sports and Entertainment Director of Communications Seth Palansky on and they continue the discussion of the delayed final table and the relative success of the experiment. Apparently (according to this here post-mortem), various factors, including the Olympics, the presidential election, and even the economic crises made it more difficult for promoters to “strike” at that crucial time -- i.e., the last two weeks before the table was played and then shown on ESPN. Sounds a little strange, frankly, given that everyone knew back on May 1 when the Olympics and the election were scheduled. Palansky goes on, though, to cast further aspersions in the effort to explain why the November Nine was not the huge cultural phenomenon organizers had envisioned it to be. He also blames the players. That’s right. Now that the final table has finished, the Director of Communications for Harrah’s has decided it is okay to suggest the players themselves were somehow to blame for the failure of the idea. On Wise’s show, Palansky said he wanted to “break” the news that two of the November Nine had been offered the chance to do guest spots on mainstream talk shows -- the Tonight Show with Jay Leno and the Ellen Degeneres show -- and both turned down the opportunities. Wise was unable to get Palansky to identify which players were the ones asked, but on the 2+2 thread about the interview Dennis Phillips’ agent says he was not made any such offer. Gotta believe that. I mean, I know Hard-Boiled Poker is the cat’s pajamas and all, but I can’t imagine Phillips would do an interview with me (and about 200 others) and not do one with Jay Leno or Ellen Degeneres! Scott Montgomery also chimes in on the thread to say that he doubts the claim is even valid (“umm, i think this whole thing sounds like a load of bs to me” says Montgomery). I don’t even know where to begin, there are so many incorrect assumptions underlying such a view. Not to mention the fact that when the final table delay was first announced, WSOP Commish Jeffrey Pollack made it abundantly clear that nothing in particular would be expected of the nine who made the final table in the way of promotional activities. For one, there’s a fundamental misunderstanding of poker players, generally speaking, many of whom don’t want to be Peyton Manning (or Phil Hellmuth or fill-in-the-blank). Secondly, there’s a misapprehension about the tournament itself, wherein the cash prize for winning far exceeds any possible benefits a guest spot on Leno might bring a person (and thus should be weighed accordingly). 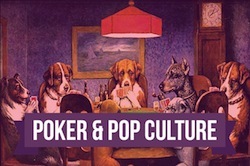 There’s also a fairly misguided view about poker’s place in popular culture. Palansky comes to poker via the National Football League where he also served as Communications Director. His comments seem to suggest that poker is perfectly analogous to football, both in the way it is played and presented and its place in the public consciousness. Poker has a real problem, I think, if those in charge of promoting the WSOP are going to continue to operate under this assumption. In the 2+2 thread, Shane “Shaniac” Schleger” offers his rejoinder to such a view. He finds it “disingenuous and frustrating to blame player apathy or laziness for not helping to ‘grow the game,’” pointing out how Harrah’s, the WPT, and other corporations haven’t exactly compensated players generously (or at all) in the past. He goes on to call it “delusional” to think any of the nine who made this year’s final table were “going to have the motivation and charisma to try and become the next Hellmuth,” and thus thinks a “new strategy” is in order. Over on the Big Poker Sundays radio show, Schleger suggested that like Scott Montgomery, he was doubtful Palansky was even being truthful with his claim about the Leno/Ellen offers. Even if the claim is truthful, I can’t say I see the purpose in throwing the November Nine under the bus this way except perhaps to try to bully the next group of poker players who make the 2009 Main Event delayed final table subsequently to perform more closely to Harrah’s wishes. Which -- even if successful -- would not necessarily produce desired results (to my way of thinking). ’Cos poker ain’t football. Nor will it ever be. I guess there is one aspect of all of this that relates to poker -- the idea of blaming others when things don’t go one’s own way. 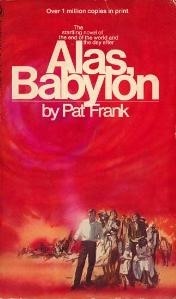 Like you said, it's hard to know where to begin when discussing how wrong-headed this all is. But even if everything Palansky said was true (and I'm of the opinion that practically none of it is) why would you say it in PUBLIC? You're publicly trashing the guys who made the final table of the WSOP crown jewel? Is this going to make future final-tablers eager to get into bed with Harrah's? The ratings for the final table were up 50% this year. It was a success! So what if Nike and Toyota and Coke didn't rush to put their logos all over the November Nine. First, I think pushing the NASCAR paradigm on poker is ludicrous. Second, how anxious are big-time corporate sponsors going to be to play second fiddle to Milwaukee's Best Light and online poker sites that operate in a murky legal landscape? This just blows me away....wow.